Cretan Dancer epitomizes Lovet-Lorski’s idealized, slick, deco form, while possibly being one of his most playful and joyful works. One can detect Egyptian and Cubist influences, but he developed an iconic feel to his form that is not mistakable with other artists of the time. Lovet-Lorski’s biography is carved into his sculptures. His early sculptures reveal his architectural design training especially in his mastery of such concepts as structure, space, volume, and sheer three- dimensional presences. His eclectic ethnic borrowings are melded with his distinctly American attitudes of industrial progress as well as a certain celebration of technology that result in the highly stylized and almost futuristic lines in this sculpture of a dancer precariously positioned astride the back of a sleekly modeled bull. The energy of the avant-garde movement in Paris is further reflected in the sheer modernism of his overall design. Lovet-Lorski was well-known for working in special, unique, and unconventional materials ranging from marble, granite, onyx, slate, jade, aged wood, and in our instance polished bronze. In quixotic fashion he was known to pattern the subjects of his sculptures to suit the nature of the material rather than to pattern the material to suit the subject. 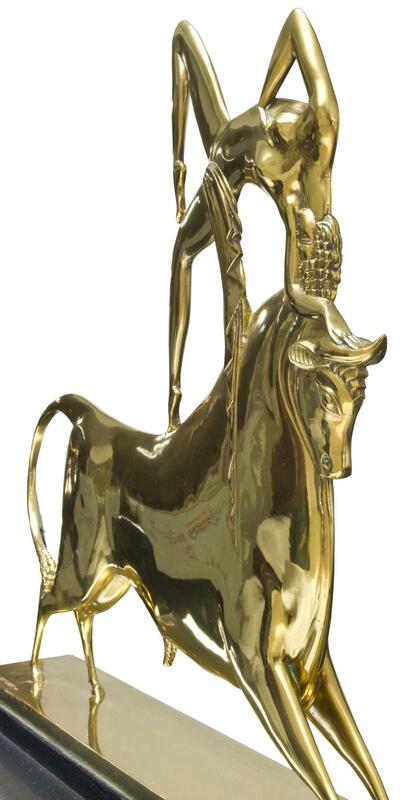 The polished bronze in the Cretan Dancer from 1930 is a glistening, smooth, and reflective surface that complements the agility of the dancer and acts as a foil to the solid imposing structure of the bull. This choice of material heightens the overall sleekness of the sculpture that seems to mirror the latest cars, planes, and machines that were born as well in the early 20th century. 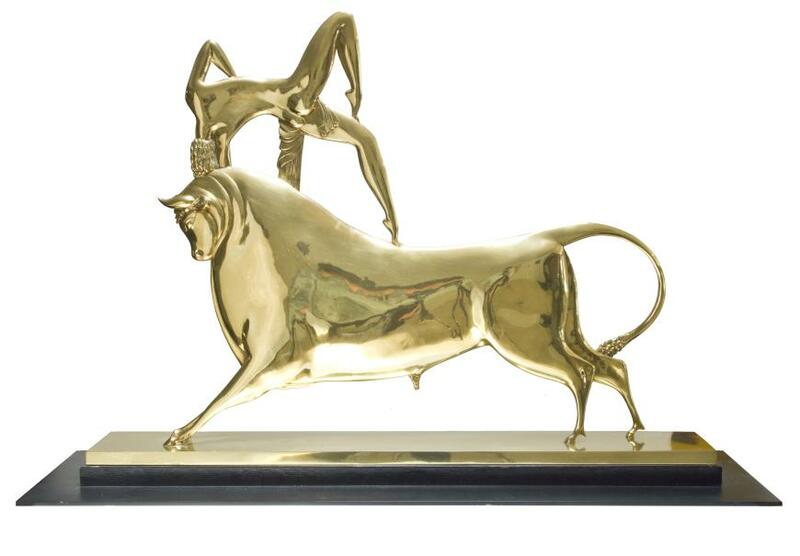 “Bull-leaping” was a common motif in figurative art from Minoan Crete. Such displays are thought to have been part of a ritual executed in connection with bull worship or as a prelude to sacrificial offerings to the god Poseidon during which an acrobat or dancer would leap onto a bull and perform somersaults or acrobatic stunts. As personified in Cretan Dancer, the legacy of Lovet-Lorski lies in his exquisite idealized forms, his provocative choice of materials, and his unique blending of cultural influences that result in an originality of style that is inspiring and imaginative even by today’s standards.